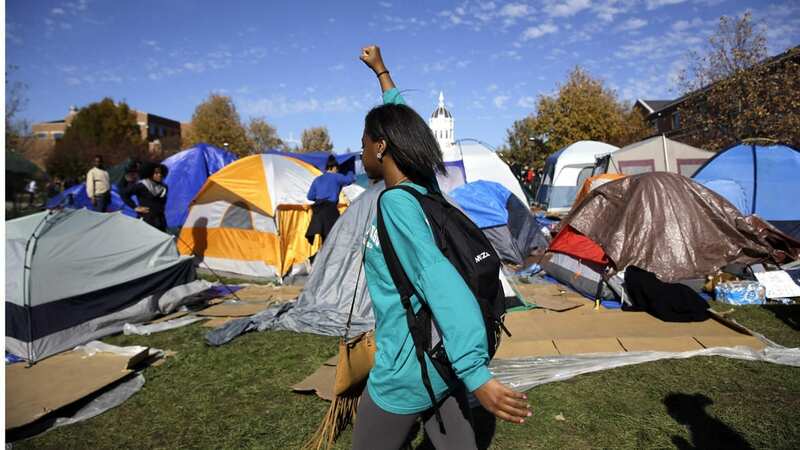 It’s been a historic week at the University of Missouri. On Monday, Tim Wolfe resigned as president of the UM System. Hours later, Chancellor R. Bowen Loftin announced he is stepping down from that office at the end of the year. NPR-affiliate KBIA brings us this video, “Views of the News,” from the Missouri School of Journalism professors Amy Simons, Earnest Perry and Mike McKean, exploring the issues around the past week’s events at the state’s flagship university campus. Filmed Wednesday, it looks at local, regional and national media coverage, talks about challenges to the First Amendment, and examines the role of Mizzou Football. On Friday, MU Head Football coach Gary Pinkel announced he would retire at the end of the season, citing health reasons. Pinkel, diagnosed with lymphoma in May, is the winningest coach in school history with a 117-71 record over 15 seasons, according to the Associated Press. Also on Friday, NPR examined how students are reacting to feelings of fear on campus: How Black Students At Mizzou Are Coping With This Week’s Threats. As MU looks hard at diversity, the world's first J-School also needs to revisit a 'notorious act of racism'.